Now available: price curves CEE! 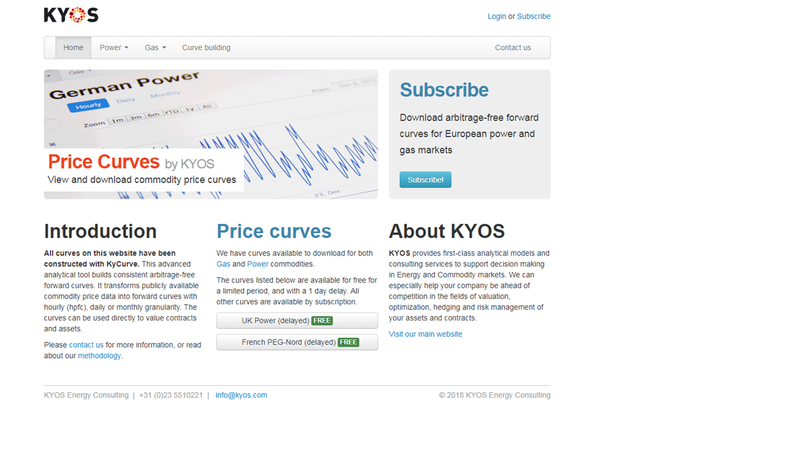 KYOS has expanded its service to publish hourly price forward curves to the Central Eastern European Region. Via the dedicated website www.pricecurves.com you can download detailed price curves for Slovak, Hungarian and Romanian power. All curves are arbitrage-free, so on average equal to the prices of all forward products in the market. The price curves are updated automatically after market closure. For more information about the new CEE price forward curves, please leave a message on our contact form or visit www.pricecurves.com. Are you not looking for CEE power price curves? Then it is still worth having a looking at www.pricecurves.com. We also offer power curves for most Western Europe. Besides that we also have the most common gas prices in our portfolio.